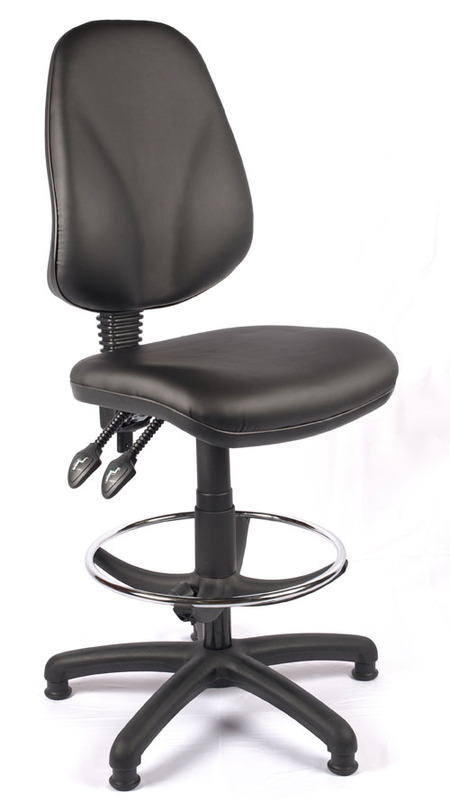 The Juno Vinyl draughtsman chair is standard with a 2 lever mechanism allowing seat height and back angle adjustment. The seat height ranges from 580mm to 840mm giving a wide range of seating positions depending on your worktop/counter height. 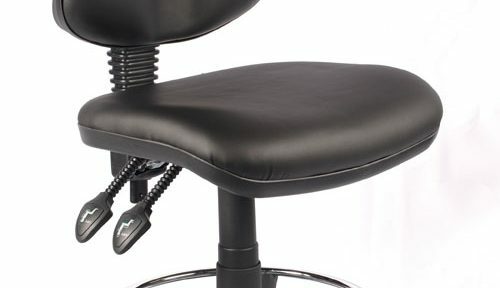 This entry was posted in Draughtsman chairs, Factory Chairs and tagged draughtsman chair, Draughtsman chairs, high office chair, industrial seating, lab chair on February 28, 2019 by David Bradshaw.